10X Productions was formed in 2005 to facilitate the production of a feature-length motion picture, Yai Wanonabälewä: The Enemy God (www.TheEnemyGod.com) in partnership with a community of indigenous Yanomamö in Venezuela. The film has won multiple awards at film festivals in the U.S. and internationally and has been recognized for excellence in screenwriting, production, directing, cinematography. Now in worldwide distribution, The Enemy God film builds on years of experience in film and television production in the U.S. and overseas. The principals have produced both documentary and narrative projects in countries including the U.S., China, Afghanistan, Sudan, India, Russia and many other European, African, Asian, and Latin American countries. In 1998, we produced the first-ever narrative film in the Tatar language. The film was produced with an entirely amateur cast in the city of Kazan, Tatarstan. It was broadcast on state television in Tatarstan and also in neighboring Bashkortistan. It is being translated into other languages for viewing in other countries in Central Asia. 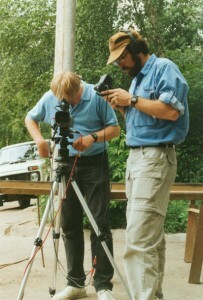 We have extensive experience in dramatic and documentary production both in North America and in 30+ other countries. Additionally, we have produced many other types of media programming including marketing-communication pieces, television commercials, training videos, and interactive multimedia programs.